home › posts › The Number Ten: Environment... ten trees planted for every item purchased. The co-founder of PayPal nearly went bankrupt a few years ago on a young company called Tesla Motors. As the story goes, he sunk his last three million dollars into keeping the electric car start-up afloat – Musk wouldn’t give up on the vehicles and their ability to dramatically curb CO2 emissions by using a lithium battery in the place of an internal combustion engine and petrol tank. Tesla started trading public in 2010 (earning Musk an instant $630 million) but he’s still only taking an official salary of $1 annually to help the business grow against traditional auto manufacturers. Italy’s Carlo Petrini is the world’s preeminent foodie activist, having founded the Slow Food movement back in the 1980s. The movement is an alternative to fast food and calls for a return to growing organically and buying locally. Slow Food has spread to over 100 countries and Petrini continues to tour the globe spreading the good word – oh yeah. He’s the only anti-McDonald’s activist who’s been in the offices of Barack Obama and David Cameron. It’s been eight years since “An Inconvenient Truth” came out, and we still can’t forget Al Gore’s passion for environmental reform. He’s still vocal about public policy to combat global warming and continues to invest in environmentally friendly businesses. Really, who wouldn’t want to go for a spin with Mr. Climate Change on his solar-powered houseboat? 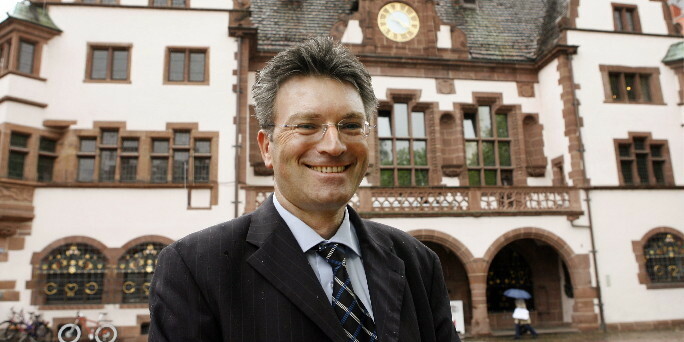 The mayor of Freiburg in southern Germany is just the kind of politician we love to see in action. Since taking office in 2010, Saloon has helped develop this small community into possibly the most environmentally friendly town place in all of Europe. Local government, headed up by Salomon, has made a conscious effort to reduce carbon gas emissions and traffic by making the city centre a pedestrian zone and creating 500 kilometres worth of bike paths. Freiburg is also a solar energy hotspot, with installations working throughout the city. This list just wouldn’t be complete without Canadian environmentalist legend David Suzuki. Suzuki’s accomplishments in activism are too widespread to mention here, but we’re always watching what’s going on at the David Suzuki Foundation. The science-based environmental organization headquartered in Vancouver continues to help protect Canadian ecosystems, and be a strong voice against climate change. The Captain is one scary dude, but in the best possible way. Since co-founding Greenpeace in the ’70s, Watson’s been called an eco-terrorist by governments for his direction action against illegal fisherman and Japanese whalers. Despite his controversial approach, Watson’s never been prosecuted. This spiritual leader is not afraid of getting his hands dirty. The Archbishop of Constantinople regularly takes church leaders of all denominations on environmental outings all over the world. He’s now working closely with the Pope to make the environment an issue of priority. Malaysian architect and ecologist Ken Yeang is the world’s top designer of green skyscrapers. His unconventional methods include using walls of plants, advanced ventilation and anything and everything that can collect water efficiently. 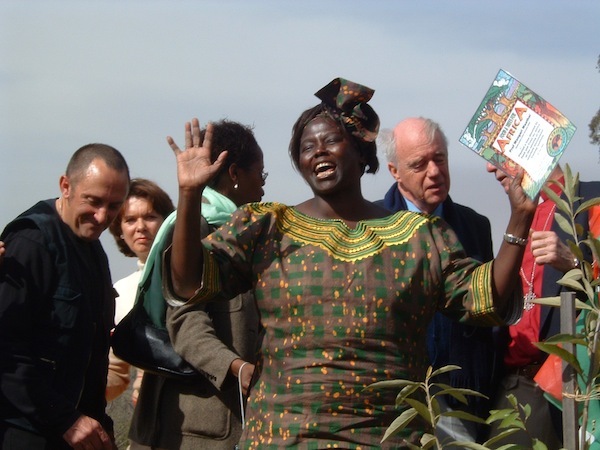 We have a special place in our hearts for this Nobel peace prize-winner for her love of planting trees. Though Maathai passed away in 2011, the organization she helped found continues to plant thousands of trees in Africa. The Green Belt Movement teaches women in Kenya about planting trees and combating deforestation. Australia’s Peter Garrett got into the limelight as the leader of a punk rock band, and has since gone on to become a politician and environmental activist in Australia. Back in the day, he was even organizing protests at the Sydney Olympics and outside of Exxon offices. He spent the last seven years working in Australia’s federal office. The post The Number Ten: Environmental Activists to Look Up To appeared first on tentree.